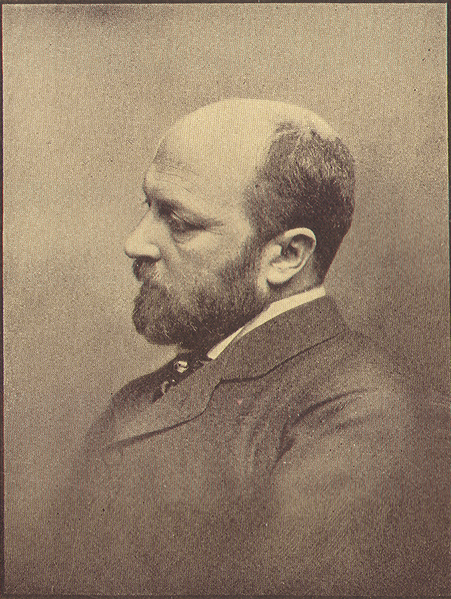 Henry James (1843-1916), noted American-born English essayist, critic, and author of the realism movement wrote The Ambassadors (1903), The Turn of the Screw (1898), and The Portrait of a Lady (1881). James's works, many of which were first serialised in the magazine The Atlantic Monthly include narrative romances with highly developed characters set amongst illuminating social commentary on politics, class, and status, as well as explorations of the themes of personal freedom, feminism, and morality. In his short stories and novels he employs techniques of interior monologue and point of view to expand the readers' enjoyment of character perception and insight. American-born and never married, James would live the majority of his life in Europe, becoming a British citizen in 1915 after the outbreak of World War I. Many of his works have inspired other author's works and adaptations to the stage and screen. Henry James, O.M. (April 15, 1843(1843-04-15) – February 28, 1916) was an American writer, regarded as one of the key figures of 19th-century literary realism. He was the son of Henry James, Sr., a clergyman, and the brother of philosopher and psychologist William James and diarist Alice James. James spent the last 40 years of his life in England, becoming a British subject in 1915, one year before his death. He is primarily known for the series of novels in which he portrays the encounter of Americans with Europe and Europeans. His method of writing from the point of view of a character within a tale allows him to explore issues related to consciousness and perception, and his style in later works has been compared to impressionist painting. James contributed significantly to the criticism of fiction, particularly in his insistence that writers be allowed the greatest possible freedom in presenting their view of the world. His imaginative use of point of view, interior monologue and possibly unreliable narrators in his own novels and tales brought a new depth and interest to narrative fiction. An extraordinarily productive writer, in addition to his voluminous works of fiction he published articles and books of travel, biography, autobiography, and criticism, and wrote plays, some of which were performed during his lifetime with moderate success. His theatrical work is thought to have profoundly influenced his later novels and tales.